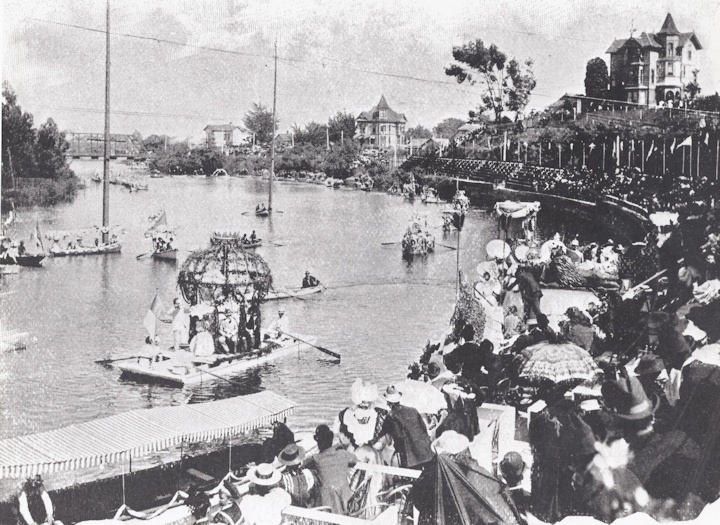 SANTA CRUZ VENETIAN WATER CARNIVAL JUNE 1895. Before people cared about fish and nature they dammed up the San Lorenzo River and as shown here had great fun at the bend where they want to erect that basketball arena. It was tried again in the 70’s by Paul Lee and others, but environmentalists and the fish won…it was cancelled. OUR SANTA CRUZ. What’s unique about Santa Cruz? How many franchises before tourists stop coming here for our character? Look at the new Walgreen’s, look at the City Council candidates how many are pushing for any and all new businesses…any stated an anti-corporation stand?? Pacific Avenue is looking more and more like Fisherman’s Wharf; do we care? Fisherman’s Wharf sure draws the tourists, is that our goal? Is that why we moved here? CHESTNUT STREET DIGGINGS.How many folks have wondered about the digging away of the cliffs on the west side of Chestnut Street between Mission and Locust Streets? Do we wonder about the Early Indian sites that used to be there? Are there any Archeologists on site to check and make sure no early artifacts, relics, sacred objects aren’t being destroyed? With that location being high above the flood plain and with easy water flowing downhill you know that a mere 10,000- 15, 000 years ago that was a densely populated area…anybody checking?? The City & County of Santa Cruz will host a reception for the California Coastal Commission at the Monterey Bay National Marine Sanctuary, at the corner of Pacific and Beach Streets in Santa Cruz on Wednesday, August 8, 2012 beginning at 6:00 pm or at the conclusion of the Commission meeting. Members of the public are welcome to attend. Space is limited. RSVP, contact Melody Serino, (831) 454-3403 for more details. 34TH ANNUAL MUSICAL SAW FESTIVAL. There’ll be guests from Japan this year and from around Europe, but none from Beijing where there’s a Musical Saw School with 200 students. The press release reads… “For great music that’s a cut above the rest, come to the 34th Annual International Musical Saw Festival, Saturday and Sunday, August 11 and 12th . The Festival starts at 1 p.m. Saturday, Aug. 11th with a free acoustic jam near the world’s only life-sized bronze statue of a saw player Mr. Tom Scribner, in front of Bookshop Santa Cruz (1520 Pacific Avenue). At 6 p.m. Saturday, the cutting-edge fun moves to the outer parking lot of Roaring Camp in Felton, just seven miles north of Santa Cruz, for a free potluck dinner and jam. The Festival’s big events begin at 10 a.m. Sunday, Aug. 12, at Roaring Camp, when the world’s greatest saw players join other acoustic musicians in a variety of musical performances. You’ll hear bluegrass, country, folk, gospel, blues, classical works and show tunes (though, oddly enough, no heavy metal) throughout the day. The forecast also includes outbreaks of spontaneous acoustic jams at any time. The International Musical Saw Contest (the Saw-Off) is held from 11 a.m. to 1 p.m. on Sunday. Later that afternoon, around 3 p.m., is the Presentation of Awards, followed by the Chorus of the Saws, when up to 50 saw players attempt to play in unison. At 4 p.m., for those who want to learn to play music that really has some teeth in it, there’s a free Musical Saw Workshop. From beginning to end, the Saw Festival is free, and fun for the whole family. For more information, check out www.SawPlayers.org, or www.RoaringCamp.com. Produced by volunteers of the International Musical Saw Association, this event is sponsored in part by the Cultural Council of Santa Cruz County and KUSP Public Radio. Come to the 33rd annual Musical Saw Festival, and say you saw it here first! BRIAN MANNto take place on SUNDAY, AUGUST 19, 2012 3-6 pm at Christ Lutheran Church, 10707 Soquel Drive, Aptos. Joyce Mann, her family, and friends wish you to join with them in an afternoon of remembrance for Brian. If you would like to share words and/or music, there will be opportunity to do so. · Consideration of storm water management standards in San Luis Obispo County. · Consideration of changes to standards governing parking and changes of use for commercial structures in Santa Cruz County. · Changes to Santa Cruz County geologic review procedures. · Other “cleanup” changes to the Santa Cruz County Local Coastal Program. EAGANS DEEP COVER. Corporation people on the moon…you have to see it to believe it…scroll downwards about two pages. LISA JENSEN LINKS. Lisa writes…”This week at Lisa Jensen Online Express (http://ljo-express.blogspot.com/), Shakespeare Santa Cruz’s summer season gets off to a rousing start with the return of the Musketeers to the Festival Glen in The Man In the Iron Mask, and an enchanted production of Twelfth Night fit for the royal revels. Also, check out the new poster for Chasing Mavericks, the movie about surfer Jay Moriarty shot on location right here in Santa Cruz last summer.” Lisa Jensen has been writing film reviews and a column for Good Times since 1975. INTOUCHABLES. As you probably know this film was and is a huge hit in France, where it was made. Many American critics thought that the camaraderie that happens between the African and the Frenchman wouldn’t play well here. They said it was a “French thing”. I loved it. And even cried at the end, which is a sure sign of greatness (or gross manipulation). Great acting by both Omar Sy and Francois Cluzet. It’s a summer feel good flick, nothing heavy, no statements, just feel good stuff. It’s also funny, and shows rich people exactly the way you always believed they are. David brags near the beginning that he got George W. Bush elected, when asked how by the filmmaker he says he can’t talk about it “because it was probably illegal!! !” (don’t you wonder what that was about?). 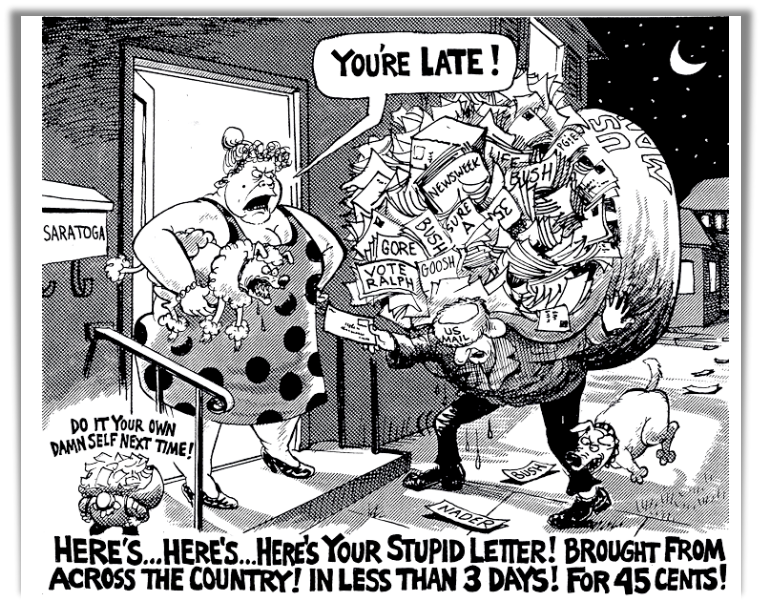 Siegel made his millions conning middle class folks into buying his world’s largest time share scam. It centers on their building a 90,000 square foot Versailles rip off home…and how when the bottom fell out of the bank system they too are in deep money trouble. See it. It’s a lesson in economics and Republicans. Here’s the official website. TRISHNA. Talk about your soap opera!!! Frieda Pinto who still can’t act,(but always looks very beautiful, meaningful and pitiable), takes the lead in this adaptation of either Tess of The d’Urbervilles or King Kong or The Bowery Boys go to India. A mish-mash of a plot, thrilling and well deserved conclusion, but you could rent it some foggy cold summer’s day 5 years from now and it wouldn’t make much difference. QUOTES. “She invariably was the first over the fence in the mad pursuit of culture“, George Ade. “I never met a kid I liked“, W.C. Fields. “Most women are not as young as they are painted”, Max Beerbohm.